Домой English page Analytical Report: January 2012. In general, the month was rich in events. The first signs (in our opinion) of the upcoming conflict with Moscow appeared. It should be noted that the official Minsk for the first time in many years, in relations with Russia adheres to the obligations assumed. However, it seems that it is not enough for the Kremlin and the pressure on the Belarusian authorities will increase slowly but steadily. Belarusian authorities will be able to “take a rest” in connection with presidential elections in Russia, but only if the West shows an active rejection of the elections results, i.e. provides support to the Russian opposition. Despite the economic and political stabilization in the country, the situation for the Belarusian authorities in whole is still quite difficult. And decisive actions in the economy and politics are essential. However, there is no political will for such actions. Although, in accordance with the human resource crisis in governance (which was recognized authorities by the authorities for the first time ever), it is possible that it’s not about the political will, but about failure to assess the situation and make the best decision. For this reason, the resistance of the state to external influence remains in question. Moreover, it is clear that Belarus does not have the ability to conduct independent foreign policy. This is shown by the reaction (or rather by almost complete absence of it) of Belarusian authorities to the events in Syria and Iran. Such silence about the pressure on the key regional partners shows only one thing: the official Minsk can maintain relations with foreign partners only in a good situation. In case of aggravation of the situation in a friendly state all Belarusian authorities can do are vague statements. Such position doesn’t allow forming full-fledged alliance with other countries. In fact, we are witnessing the collapse of the idea of formation of closer relations with the countries of the Third World, which was very popular among Belarusian top bureaucracy. In January, it became obvious, that the achievement of the unity of the Belarusian political opposition is impossible. It looks like two political camps will appear according to the attitude to the forthcoming elections to the National Assembly. At the same time that the economic optimism of the authorities still has no real reason. We are witnessing not the overcoming of the crisis, but the stabilization, that can be quite short if no reforms are made. The internal situation: stability of state power. Despite the beginning of the year and related celebrations, the month was rich in events, connected with the Belarusian — Russian relations. January was marked by the fact, that the government first acknowledged the human resource crisis to be a problem requiring urgent solution. However, this only happened after the outflow of specialists from the Council of Ministers had become really appreciable. In the end of the month it suddenly became known, that the pressure of the Kremlin on the official Minsk is increasing, which makes the latter to send signs (but still quite vague ones) to the West. However, this does not mean a fast resumption of the dialogue: the pressure on the opponents of the regime still continues to be strong. Rather, Belarusian authorities realize that dependence on Moscow is becoming dangerous to the existing system and the influence of Russia has to be balanced. Reliance on China as a new protector and patron turned out to be untenable. So, the West is the only variant. At the same time the absence of a single strategy of the western states on the Belarusian issue (due to its small interest to the West) it is quite difficult for Belarusian government to develop intelligible tactics in its relations with the West. However, the Belarusian authorities faced a new problem in the West, which might well become a nightmare for them: the first attempt to arrest one of the leaders of the state was made. The attempt was unsuccessful, but this failure may inspire the opponents of the authorities to seek out other weak points of the regime. In January some of the conditions of the sale of shares of Belarusian JSC “Beltransgaz” became known. The most interesting thing is the condition that “Beltransgaz” is granted the exclusive right to purchase the natural gas exported from Russia. In our opinion this condition may involve expansive interpretation and apply not only to gas produced in Russia, but also to gas from Central Asia, transited through Russian territory. This condition is actually a preclusive measure of supplies of Kazakh gas to the Belarusian market. The contents of an intergovernmental agreement between Belarus and Russia on the provision of public export credit for building the Belarusian nuclear power plant were also made public. The maximum amount of funds provided is USD 10 billion, and loans should cover 90% of project costs. Thus, the total project cost will exceed USD 11 billion instead of the originally voiced USD 2,5-3 billion. Four-time rise in cost can’t be explained now, because no information is available. However, the persistence with which the Russian side has lobbied for the project, is suggesting the presence of corruption. The participation of Belarusian officials in the scheme seems quite unlikely. If the corruption is the reason of increased cost of the object, there is an explanation why the Russians are willing to make concessions to Belarus on oil and gas issues: preferential supply of hydrocarbons to the Belarusian side will compensate for the formal increase in the cost of building nuclear power plants. Thus, it’s impossible to talk about the support of the Belarusian economy by Russia: in fact we are talking about the withdrawal of billions of dollars from the Russian budget, and in this situation Belarus is only one of “means of transit”. Developing this version, we believe that under these conditions Belarus is interested in maximum delay of the construction of nuclear power plants, and even its breakdown in the future. In this case our country gets the time lag, during which it will be able to use the preferences granted by Russia and do not take counter obligations under the loan agreement. However, even if the concessions on oil and gas supplies have solely political reasons, it is necessary to understand that this is a temporary measure, in fact — a respite. It doesn’t solves the issue of modernization of Belarusian state system. And this modernization within the integration associations in the former Soviet Union is hardly possible. Thus, the normalization of relations with the West is a matter of time. In addition, it seems that Russia has made concessions more likely to support Belarusian Prime Minister Mikhail Myasnikovich, rather than Alexander Lukashenka. On January 13, 2012 the advisor of the U.S. Secretary of State Hillary Clinton Phillip Gordon said that the U.S. sees no future in its relations with Belarus. This news is really sad for the Belarusian authorities, because it actually means that the Kremlin can do anything with Belarus. And the U.S. (and the West in general) do not have the intention to intervene in this process. Naturally, this will work only until the normalization of the political situation. 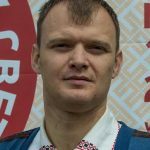 The only obvious reason that the Belarusian authorities don’t want to fulfil the conditions of the West is the fear of losing the reputation. This can be considered as a weakness of Belarusian authorities by the top bureaucracy range and “court” businessmen, which, strictly speaking, pose the greatest threat to the existing system. If the West can offer Belarusian authorities the conditions, which allow them to maintain the appearance of power, in our opinion the authorities will start phased normalization of relations. The question is whether West is interested in offering anything to Belarusian regime. Belarus is not a key country in the region (in contrast to the Ukraine or Georgia), has no unique critical assets and is of little interest for the West as a potential military ally because of the low military potential. On January 19-20, 2012 the Minister of Internal Affairs Mr. Kuleshov visited the headquarters of Interpol in France. The visit had a scandalous background: on January 19 a lawyer William Bourdon filled in a French court an application for the arrest of Mr. Kuleshov on charges of the torture of political opponents of Belarusian regime. Although the application was rejected because of the immunity of the Minister, it was a bad sign for Belarusian authorities. The arrest of any of the leaders of the country during a trip abroad seems almost impossible. However, the situation could be much worse if the Western courts will receive civil suits from Belarusian political emigrants to recover moral damage caused by forced departure from Belarus. And the sums of the suits may amount to billions. So, this can be followed by the seizure of Belarusian state property and enterprises (formally private, but controlled by the government). In case of such events Belarusian trade with Western countries will be complete paralysed, because all monies transferred to Belarusian companies as payment for delivered products will simply be blocked in the bank accounts. Belarusian authorities have influential business partners in the West, who are not interested in such situation, but they will hardly be able to do anything in the case of mass lawsuits and appropriate information support, including the announcement of the list of counterparties of Belarusian authorities. Moreover, the reputational costs are so high and the risk of being drawn into trial proceedings so real, that we can expect Western companies to refuse from cooperation with Belarus. Something similar had already been observed when Western banks refused to finance investment projects in Belarus at the end of last year. On January 17, 2012 Alexander Lukashenka gave an interview to the Chinese media, in which he said about the possibility of some political reforms by the end of that year. It should be noted that the possibility of redistribution of power in favour of the National Assembly and the Government is extremely small. It is mostly about a mechanism for sanitation of public discontent and creation of the illusion of the presence of pluralism in society, i.e. the system of managed democracy. In Belarus it is likely to look like a set of several political parties, that are under direct and absolute control of the regime. Political parties would perform the function of «letting off steam» and create the appearance of participation in the political process by having its members in representative bodies. At the moment, there is a number of registered parties in Belarus, which have been not active for a long time and have been originally created for articulating the interests of different groups of officials and associated business: Republican Party, Social and Sports Party, the Social Democratic and People’s consent Party, Labor and Justice Party, the Communist Party, Agrarian Party, Patriotic Party. Revival of their work is a technical issue. Further, the subject of political modernization was developed by Chairman of the Council of the Republic of Belarus Mr. Rubinov, and one of the most prominent advocates of the authorities Mr. Gigin. But none of them provided any specific information on the question. All these events (the statements of Mr. Lukashenko, Mr. Rubinov and Mr. Gigin) might well be regarded as a nationwide sensation, if by the end of January were not followed by the statement of Russian Prime Minister Vladimir Putin, which showed that the Russia strongly recommends Belarus positively consider the introduction in two countries of the single currency — the Russian ruble. This statements of Mr. Putin also explains why in January Belarusian leaders have repeatedly returned to the theme of the single currency, despite the fact that there was no apparent reason for that. Thus, what initially looked like a sensation, in our opinion should be viewed as both a response to the Kremlin (rather negative than positive one) and the sign to the West about the readiness to begin a dialogue. At the same time the Belarusian authorities continue to pressure on the opposition. 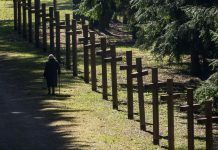 Once again BCD was refused to be registered, as well as the public association “European perspective”, which also stands for Christian Democracy and has in its ranks a number of former activists of the Belarusian Christian Democracy, who left the party because of disagreements with the leaders. Representatives of both organizations claim some farfetched reasons of their failure to register. The court verdict against A. Bialiatski remains unchanged. The arrive of the new U.S. Ambassador to Russia Mr. McFaul may entail a certain extension of the field for Belarusian authorities to “maneuver” in their relations with Russia. Some Russian leaders tend to believe that Mr. McFaul has a career of intelligence officer, specializing in destabilization of the political regimes in countries unfriendly to the United States. In fact, we are talking about the psychology of a besieged fortress. Against the background of such sentiments the support of Belarusian regime can be for some time considered to be smaller evil by the Russian government. However, it is clear that this approach can not take place for a long time. Thus, the conflict of the official Minsk and Moscow is not canceled, it is just postponed. It is once again confirmed by the attempt to create a pro-Russian political structure in Belarus (for details, see “The situation in the field of national security and defense”). In January, staff shortages in public administration has become a reality, which the Belarusian authorities can’t continue to ignore any more. The decision of the Government № 1784 with vague title “On the organization of work on a pilot project in the Office of the Council of Ministers” was announced. The document reads about phased reduction of number of staff in the Council of Ministers by 20%. However, the most interesting point there are the measures aimed at the financial incentives of the most professional officials and technical staff. At the same time the document reads that the authorities are concerned about the outflow of technicians, especially in the field of information technologies. At the moment, due to low wages the prestige of public service is completely undermined. The measures provided by the Resolution number 1784, are half-hearted and can’t change the situation. The state apparatus needs radical reforms, the main points of which should be a sharp reduction in the number of officials with a simultaneous increase in salary for the remaining ones, and the creation of the system of substitution on the basis of professionalism, but not on the basis of personal relationships. However, now the ability of senior management of the country to reform the civil service system seems doubtful and, consequently, the negative trend (deprofessionalization of the state apparatus) in the foreseeable future will continue to grow. The internal situation: the opposition and the protest movement. In general, the current situation in the Belarusian opposition is optimistic. January was marked by a struggle between two opposing tendencies: the coordination of the opposition movement and exacerbating old conflicts. The situation that arises at present, tells about dominance among the opponents of Belarusian regime of tactics of temporary alliances, the most important factor in which is personal sympathy (or trust) of the leaders of opposition organizations. The ideological affinity is not important for them. As well as the task of achieving some result. January was marked by a succession of scandals among the political opposition. The beginning was quite expected dismissal one of the leaders of the civil campaign «Tell the truth!» Mr. Dmitriev from United Civil Party. On January 10, leaders of the Minsk city organization of the United Civil Party voted for the his dismissal from the party. In fact, Mr. Dmitriev was accused of internal sabotage. Strictly speaking, it is true. According to our information, he actively attempted to engage the UCP activists in the actions of the campaign “Tell the truth!” (especially in the regions). Moreover, the ambitions of campaign’s leaders in UCP haven’t been a secret for a long time. Activity of Mr. Dmitriev objectively led to the weakening of Mr. Lebedko and his team inside the UCP, so the decision was long expected by all participants in the political process and the balance of forces within the opposition wasn’t affected. During the month the opposition political organizations had been making efforts to develop a unified position regarding participation in the elections to the National Assembly this year. They didn’t manage to achieve unity in this question. In our opinion, the reason for this were not some objectively determined differences in strategy and tactics of the campaign, because the chance that the government allows the opposition candidates is extremely small. The cause of such situation were personal conflicts, and to put it bluntly, the material interest of a number of Belarusian politicians in the absence of a common position. Previously, we have repeatedly pointed out that the Belarusian political opposition is sufficiently commercialized and many decisions are made on the basis of self-interest. In this case, the lack of unity among the opposition indicates a lack of unity among its foreign partners, and this is the result of the absence of a unified strategy in the West on Belarusian issue at all. It is obvious that the most appropriate position is to participate in the election campaign during the nomination and election campaigning with the refuse of the candidates to take part in the election just before voting in case the demands of opposition are not fulfilled. This tactic allows to use the opportunities of election campaign for party propaganda and expanding the influence in public life. It is too early to ascertain the political conflict between the two organizations, but all trends point that it’s true. Thus, Mr. Feduta publicly accused Mr. Rymasheuski of testifying against the other candidates at the presidential election in 2010. Previously, this topic was discussed behind closed doors, and it was decided not to let it out to the public. The break with the “Tell the truth!” sets the BCD in a camp with the “European Belarus” and the organizing committee of the party “Belarusian movement” (organized by Mr. Ivashkevich and Mr. Vecherko). These organizations belong to a political pool of Mr. Sannikov. In this connection BCD gets the possibility to get alternative sources of financing at the expense of joining a camp of Mr. Sannikov. Thus, the authorities receive the freedom of internal political actions: dissension in the opposition, a conflict that has become even personal won’t allow the opponents of the regime to put up a united front. Moreover, the realities of Belarusian politics are so, that the nomination of opposition candidates from the various factions in one constituency and their direct competition can take place. — Campaign for the Protection of the socio-economic rights of workers of the village. It may be noted that the leaders of BPF have chosen good topics, that can give impetus to the Belarusian Popular Front and to attract new activists if the campaign is held competently. Particular attention should be paid to the plans to work with the villagers: in Belarus two thirds of the population live in small urban and rural areas, the majority of Belarusians have close links with the village. The problems of village are known and close to people. Thus, BPF has wide field for activity. In addition, none of the alleged campaign is solely political. Even the agitation against the Eurasian Union involves the use of financial and economic arguments. The question of getting sufficient funding for the campaigns as well as the availability of appropriate human resources is still unresolved: the oldest political party of the country has experienced 2 splits. The last split took place last year. At the same time we can say that almost every week we receive information about the activities of the campaign of BCD called “Peoples Journalist”, focused on local problems of the regions. It is not possible to assess the effectiveness of the campaign, but the fact that the BCD is working to implement it is quite obvious. Economic situation. January was not marked by any significant qualitative changes in the macroeconomic situation in Belarus. The situation on the currency market remains stable. As a result, we can talk about building of “trust” to the national currency, as at present both population and economic entities are the sellers of foreign currency (according to the December net sales of foreign currency by people and economic entities amounted to USD 139,6 million and USD 255,1 million respectively). This process is taking place due to the relatively long period of stability of the national currency (in fact, it has been stable from mid-September), and high rates on ruble deposits (50-60% per annum in December and January). The inflation continued to slow down. The stability of the ruble and a significant slowing of inflation on the background of high money market rates have led to a significant increase in ruble deposits of population and economic entities. As a result, the banks, according to statements of their representatives, faced the excess liquidity, which is reflected in the gradual reduction of interest rates in the interbank market (during the month they hadn’t not exceeded 59%) and in the deposit market. In this regard, in February, the monetary authorities are likely to reduce the refinancing rate and the rate for operations of the National Bank (presumably by 3-5% and 7-10%, respectively). The stabilization of the international market also led to the growth of quotes of five-year sovereign Eurobonds of the government: by the beginning of February their quotes rose to the initial level (about 90% of face value) from the bottom of 70% of the nominal value reached in the summer of 2011. If the trend continues Belarus can look for new borrowing soon. Also a significant growth of ruble money supply (by more than 13%) took place in December, which was partly due to increasing “trust” to the ruble and to the policy of the National Bank to prevent its strengthening (in other words, due to the ruble interventions in the foreign exchange market), and partly due to the emission programs of the Government. Substantial increase in the negative balance of foreign trade in goods took place in December (according to preliminary calculations, it will exceed USD 660 million). These data can’t help in predicting the results of foreign trade in January (because the conditions on energy commodities trading have got significantly better), but say about the reduction of the positive impact of the devaluation on the balance. Government tries to solve the problem by tightening administrative control of import and restructuring the economy. In January, a strategy of attracting foreign investment for 2012-15 years, suggesting a broad privatization program with the expansion of the role of local authorities, simplified assessment of enterprises, and improvement of legislation to increase the investment attractiveness of the country, was adopted. The discussions on the establishment of holding companies continued as well. It is obvious that the current stabilization has been achieved through reducing the rate of economic growth. The annual GDP growth was 5.3%, and for the 4th quarter it was zero. In the first quarter of 2012 against the background of the high GDP growth at the beginning of last year, economic recession is quite possible, which does not meet the Government’s plans for the annual GDP growth rate of 5-5.5% and may lead to increased pressure on the Government by the Administration of Alexander Lukashenka. In this situation, decisions of the Council of Ministers can be determined by political necessity rather than by economic expediency. The development of the situation in such a scenario could be prevented by the pressure of foreign creditors, especially the AF EEC and the International Monetary Fund. 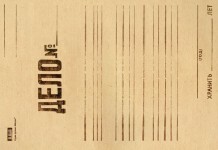 In February Belarus is to get the next tranche of the credit line AF EEC of USD 440 million. Previous experience shows that the fund monitors the implementation of anti-crisis measures by Belarusian government rather strictly. At the moment most of the conditions for getting the tranche are fulfilled. Also in the near future the list of state property, worth at USD 2,5 billion, will be approved for sales this year (under obligations to the Fund). The co-operation with the IMF is also important for the authorities, which is confirmed by the statement of the Head of the National Bank Mrs. Ermakova, who announced the plans to attract the credit in the amount of not less than USD 3,4 billion to refinance current obligations to the organization. In fact, the only alternative to IMF loan in order to avoid problems with gold reserves in 2013-2015. is the sale of large state-owned facilities. Thus, we can say that the opportunities for government to stimulate economic growth are fairly small. Attempts to mitigate the monetary policy (actively proposed by industrial and agricultural lobbies) will immediately lead to the problems with international reserves both in the mechanism of the foreign exchange market (increase in net demand for foreign currency on the part of economic actors) and in the loss of sources of external borrowing (the next tranche of AF EurAsEC credit and the new IMF loan). And no other actual instruments of economic growth were proposed by the government. So, in the near future we should expect the resumption of debate on the definition of a strategy for further development of the economy after the restoration of macroeconomic balance. The situation in the field of national security and defence. 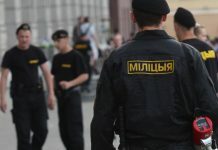 The most significant event of the month was, of course, the continuation of the cleansing of the largest law enforcement agency in the country – Ministry of Internal Affairs. The resignation of Mr. Pekarsky had long been expected. The intrigue was who would take the vacated posts of the heads of the main blocks of Ministry of Internal Affairs: Public Security Police and the Criminal Police. The latter is the key service in the whole law enforcement system of the state because of its large size and big volume of available information. On January 16, 2012 the resignation of First Deputy Minister of Internal Affairs and chief of Criminal Police Colonel Pekarsky for discrediting the rank of police officer, was announced. The resignation of Mr. Pekarsky had been expected since December last year. The following day Colonel Igor Shunevich was appointed to the post of First Deputy Minister of Internal Affairs. He served in the KGB, where he headed the first Department of Investigation, and later Department fighting corruption and organized crime, for five years. However, Mr.Shunevich began his career at the Interior Ministry, where he was the head of the Investigation Department of the Minsk Regional Executive Committee of Internal Affairs. There he was considered to be a skilful and professional manager. Taking into consideration the current state of health of the Interior Minister Mr. Kuleshov, Mr. Shunevich will serve as the Minister in his absence. And if the chair of the minister becomes vacant, the head of the Criminal Police of Ministry of Internal Affairs has traditionally been considered one of the main contenders for it. In January, Colonel of militia Nikolay Melchenko was appointed to the position of Chief of Public Security Police. Previously, he was the head of Public Security Police in Minsk region. There Mr. Melchenko approved himself a competent specialist. In general, both appointments of Deputy Ministers of Internal Affairs should be evaluated as successful. But the largest law enforcement agency of the country is experiencing not the best times. The level of responsibility and scope of problems facing Mr. Shunevich and Mr. Melchenko are significant, and resources, as well as independence in decision-making, are limited. The point is, that the heads of the Interior Ministry Departments are often forced to perform the political orders of the authorities, rather than act according to the law. In January, the salaries of military officers were increased. In general, evaluating this as a positive fact, it should be noted that the growth of salary, taking into consideration the growth of taxes, is about 18-20%, which is insufficient to compensate for falling revenues due to the crisis in 2011. Meanwhile, according to official data, 2011 was finished with budget surplus, which is sufficient for adequate compensation for loss resulting from the financial crisis last year. It is possibly about the inadequate assess of the situation, which the law enforcement agencies(especially their human resources) are in, by the authorities, who are likely not to understand the level of salaries in the civil sector of the economy and how it does not match the allowances of employees of the law enforcement agencies. In the ambiguous prospects of the Belarusian — Russian relations in case of a crisis the military capacity of the state may be quite low due to the low quality of personnel, caused by low attractiveness of the military and other similar services because of the low salaries there. At the same time, January was rich in the news regarding the prospects of development of Belarusian defence industry. The creation joint venture in Azerbaijan «Tetraedr Techservice» (Sumgait) by Belarusian unitary enterprise «Tetrahedron» was announced. It is possible, that one of the activities of the company will be assembling the complex defence systems T-38 “Stiletto” for the Army of Azerbaijan. Previously, «Tetrahedron» worked on the modernization of the Azerbaijani air defence system S-125 «Pechora». It should be noted that creating the joint venture is a logical step in view of the work, done by State Military Industrial Committee of Belarus, on the transition to a new strategy of foreign economic activities by entering new markets, expanding the export range and using new forms of industrial cooperation, including the attraction of investment and development cooperation with foreign countries in the production and development of new weapons. On January 25-26, there was a meeting of the Belarusian — Ukrainian Commission for Military-Technical Cooperation. The parties confirmed their mutual interest in further development of cooperation, and admitted the great potential for expanding cooperation of defence enterprises of the two states. As we have previously noted, Ukraine is one of the major external partners of Belarusian military-industrial complex. Two of the most famous models of Belarusian arms have a Ukrainian component: SAM T-38 “Stiletto” and anti-tank system “Caracal”. At the end of the month we have got the information about the possibility of organizing production of Russian armoured vehicles “Tiger” in Belarus. The vehicles are to be produced at “Minsk Wheel Tractor Plant” and “Repair plant number 140” (Borisov). The most interesting thing about that is Russia’s readiness to transfer technology and the level of localization of production, as well as the level of protection of Belarusian “Tiger”. This armoured vehicle has some success in international markets: it is put into service in 10 countries. The refusal of the Russian Ministry of Defence from purchasing “Tigers” in favour of the Italian armoured vehicles “Iveco” by many Russian independent analysts is associated with the corruption that sphere. The price of one armoured vehicle “Tiger” of third-class protection is about 100 thousand Euros. At the moment the construction of a combat vehicle of 6th grade protection is being finished. In January, preliminary plans of the Ministry of Defence of Belarus for 2012 in terms of adopting new weapons were announced. According to the results of the last year 14 new kinds of weapons and military equipment are expected to be put into service. The most interesting of them is a system for detection of low-altitude targets “Rosa-RB” capable of creating a control zone, solid to a height and of designated perimeter. Priority directions of development are the establishment of automation control, communication, data transmission, data protection, electronic countermeasures for various purposes, elements of a comprehensive system to counter the high-precision weapons, unmanned aircraft systems. It is also expected to end development work for individual units of information and individual combat system. In addition, in 2012 the theoretical research in the organization of territorial defence will continue. The latter is really interesting, because at the moment there is no information on the amount of funding for territorial defence, which, in our opinion, indicates a lack of a complete vision of the goals of territorial defence by a military-political leaders. In January, once again the topic of the upcoming deterioration of relations of the official Minsk and the Kremlin became urgent. Despite official enthusiasm for the renaissance of the Belarusian — Russian relations, the behaviour of the parties mostly indicates mutual mistrust. And, judging by the activities of Russia, the prospects for bilateral relations are not promising. As we have learned from credible sources, official Moscow decided to provide financial support for creation formally non-political public association with the title of “Eurasian Peoples Union” (hereinafter referred to EPU) in Belarus. It will be headed by Mr. Baranchik. The objective of the organization will be promotion of the development of cooperation between Belarus, Russia and Kazakhstan. It is possible that similar associations will be registered in the Russian Federation and Kazakhstan. Simultaneously, the Russian side plans to strengthen the activities of existing pro-Russian non-political associations in Belarusian regions and creation of new ones by providing financial support to them. Obviously, it comes to preparing a pro-Russian political party based on the EPU. In our opinion the need in it can only arise in case of removal of President Lukashenka from the power. In this case, apparently not related to each other NGOs in the regions will become a basis for creation of a regional network of political parties. It is clear that EPU can not even hypothetically act as a “battering ram” of the current regime — the need for it arises only during the period of chaos, in case of the fall of the current regime. The very influence is more likely to be executed through a range of pressures. In fact, the creation of EPU is a direct challenge to the security of the state as a whole, not just for its political elite. The most interesting thing is the reaction of Belarusian authorities to this fact. The fact that the direct pressure on the EPU and organizations, affiliated to it, may trigger the open conflict. Belarusian authorities can not afford a confrontation with Moscow without having any external support. In this case, the neutralizing pro-Russian forces in Belarus with the help of other socio-political organization, supported by the government, seems more rational. Предыдущая статья«Двойное дно» катарских инвестиций. Следующая статьяThe creation of the joint regional air defence system.